Since 1993, the Aprego™ product has evolved into perhaps the most revolutionary Windows based point of sale product available in the World. With thousands of terminals and users installed throughout North America and the world, Aprego™ is the one to look at for price and performance. Whether you need one, three or dozens of terminals, no system is as functional and affordable. Our specialty is the ability to deliver, install, customize and train your staff no matter where you are in the world at an incredibly low price, today! Aprego™ can help you manage your busy restaurant or bar with ease! AdVenta™ is targeted toward a wide variety of applications. 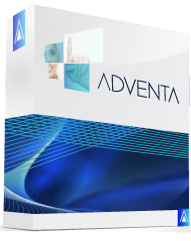 From a single user to a convenience store, grocery or department store, AdVenta™ POS makes it simple and efficient. eat2go™ online ordering software expedites the takeout and delivery process using the most advanced technology in the most efficient way possible - the Internet. Track, promote and expand your takeout and delivery business. eat2go™ orders can print over the internet to any printer of your choice, even directly to your kitchen! eat2go™ offers the payment method of Cash for those clients wating to provide the Pay at Pick Up option. eat2go™ puts control of your web business in your hands not of designers and programmers. You don't have to incur the cost of designing a website in order to increase your take out, pick up, delivery and curbside dining business. No mistakes, no busy signals, no labor costs allocated to taking online food orders, no updating of menus, no waiting in-line; instead, your customer gets online. The eat2go portal is a sale generation, fulfillment and line-busting tool. eat2go™ is the answer to the "Please Hold!?!" alternative! 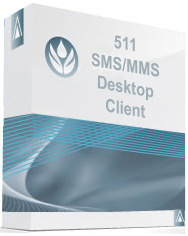 Once signed up, we provision an SMS/MMS number, and you're ready to go! Send marketing, Barcodes, QR Codes, reminders, progress indicators, surveys, etc. Endless possibilities for vertical applications and integrations! 96% of ALL text messages get opened within 4 minutes! Send your message today for pennies!